Well, I don't know how you ladies do it, but you're waaaay ahead of me getting your decorations out for fall. However, what about Halloween? I can't decorate for fall unless I first get all my little ghouls out! It is my 2nd favorite holiday to decorate for (you can probably guess the 1st), and I just loooove going shopping for little spiders, witches, etc. This little witch is my new favorite. Well, I should say she's my 2nd favorite, because she's actually the second witch I've purchased. Why, you ask, would I buy two of these witches? You guessed it--my nemesis. I set her out at 1:11 am (I know--late) and by 2:13 am, she had been beheaded and disemboweled all over the dining room floor. I knew something bad was coming when all I spotted was her tiny little witch foot at the bottom of the stairs. Little witch feet...bad sign. Right now you're looking at her little witch feet, aren't you? 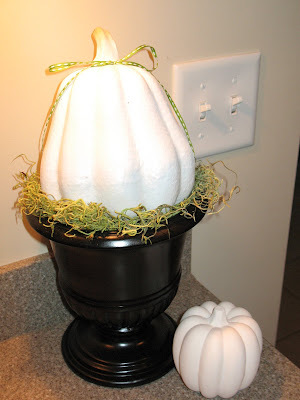 I, of course, copied myself and did my little gourd in the nest idea. A little black spray paint and some green string to spruce it up, and it's Halloweeny. Don't even get me started on this little...uhh...freaky...guy thing. And lastly...can you guess what I've started doing here? Because I have all the time in the world, and because my house is already sooo clean, I am making this. Whatever could it be? Do you have one? Well, if it makes you feel any better I have YET to put ANYTHING out yet. So, I am way behind. Cute stuff and I love the witch! BTW-I haven't a clue as to what that last item will be. Whatever it may be, I am sure it'll be cute! I love all of the Halloween things that you have out. The Halloween countdown looks like fun too. 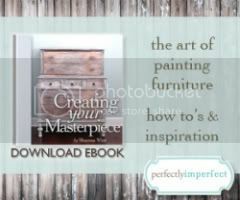 I've been watching your blog for a few weeks now and love all of the things you have done in your house. I'm definitely getting ideas. Fun decorations. I love the witch, too bad the first version was destroyed. I am in the process of putting out my decorations. I am actually getting rid of some too. 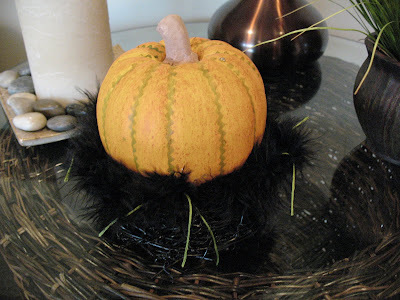 It is interesting how tastes change over time, and we have a new sense of cute fun decor rather than the typical stuff you find at your local Halloween store. Okay, are you making a Halloween calendar? Are you? Are you? Is it time for Halloween??? HA HA!! I'm WAY behind! Is that a Halloween calendar you're making? I want to make something with boxes as an Advent calendar this year. I haven't put out any decorations yet and probably won't for a couple more weeks. We're leaving for Disneyland next week and I think I'll wait until after we get back. intersting. Two of the cute witch cause one would be destroyes? You are one prepared woman! Can't wait to see what you are making...how DO you have time when you work full time? Albino Pumpkins? Where are the pink eyes? I still have not ventured into attic...I love your decorations! So whimsical and fun! I can't wait to start decorating. I should have done that today while my little one was at school. Maybe another day this week. Yeah! 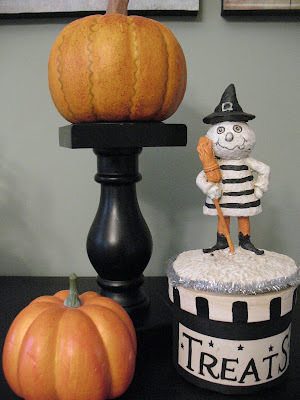 LOVE LOVE the pumpkin in the topiary container...the ribbon is so cute! I love it all! I never think of those things! I just started and haven't hit the halloween stuff yet. I love your whimsical which-so cute! Well, you are definitely way ahead of me!! I haven't done a thing, other than rip out some summery flowers from my planters, and replace them with fall coloured flowers. And you work full time...!! Please stop by my blog give-away: Matthew Mead is giving away ten signed, hard covered, collector's editions of his new Halloween mag. Check it out! Okay, I've really got to get my fall stuff out... you are too much! Love it all! I picked up some new fall goodies over the weekend, so I guess I need to get the rest of my goodies out of storage. I feel for you with your poochie, I have a kitty that I love dearly, but if he doesn't stop clawing up every piece of furniture I own..........! Can't wait to see what you're making, you always have such clever ideas! I hope you are making a Halloween countdown and I hope it is somethig I could copy! everything looks great...everyone is decorating so early it seems....yesterday I pulled out some stuff too...my oldest couldn't believe it! I have no idea what you are making but I can't wait to find out. It looks cute already! I love all your fall decor! Your little witch is so cute! Loving your Halloween decor! I am however disappointed you didn't display the disemboweled headless witch in a apothecary jar. I think the little boxes are a countdown calendar. I can't wait to see it all finished! Can't wait to see what you are up to with those boxes :) All of your Halloween decor is wonderful! ...but it isn't cold yet!! :( I have NOTHING up for FALL or Halloween..but we just moved to our apartment less than a month ago, so I think we're okay! :) I really like your decorations..soo cute! I have no idea what the last one is though! I started my Halloween decorating this week, too! I love this holiday so much, it's a little out of control. And I love your little witch! I must find one! I cannot do Halloween until October 1st. But you can bet all my fall things are out waiting for their scary friends to join them! Poor little witchie poo. That made me laugh picturing her little foot thrown to the side all by its lonesome. That dog does some serious damage at your house! Sort of like my boys! What ARE those things!! I need to know so I can copy you!!! Wait - is it a Halloween Advent calendar or sorts? Candy in a box for each day to eat by dimmed light? Do I win something if I guessed right??! I love your cute halloween decorations. so cute. We just moved into a house in June so I have never really decorated for anything but Christmas...but I am getting really inspired here!! I love your witches...and that weird little guy is kinda cute..in a weird way!!! What are you gonna do with that last item..I have no idea what it is?????? I have to say I too have been making a calendar and those numbers take a long time don't they? I am probably 1/2 done with my magnets and it's been at least three weeks! The beginnings of yours looks darling though! I am not much of a Halloween decorator...and with a new one on the way, I just don't think it's going to happen. But, if you want to come and do it for me, you sure can. 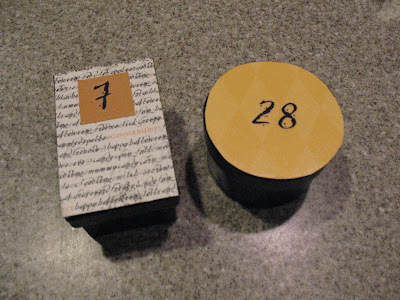 What are these adorable little numbered boxes? Can't wait till the mystery is solved! I MUST know where you got that sweet little witch?!?! Pretty please!! Hilarious story about your witch & Nemesis. So funny! I'm trying to figure out what it is you are making. Is it some kind of Halloween advent calendar? Can't wait to see! 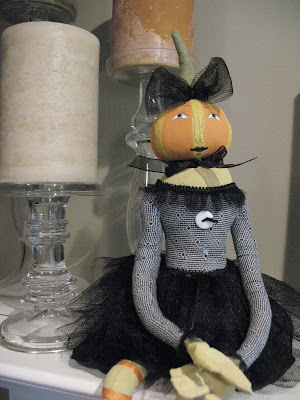 I am dying to put out my Halloween decorations! I love decorating for Halloween. And everyday I keeping asking myself if I can start. I want to control myself and start on October 1st - maybe the fall stuff can come out earlier but since its still 100+ here in AZ I think I should wait. Ha Ha...my last two posts were about creating things INSTEAD of house cleaning. It runs in our blood I think. Anyway, your decorations are adorable. I love the witch! I can't tell you how many things I have had to replace because of furry babies. After I was married one December my nativity set got a beating. By the end Joseph was headless and well as all three wise men. Plus if I remember Mary was missing both hands. It was a site. Now that the fur babies are old (10+) I haven't had to bubble wrap the decorative pieces. You could do the witch from Wizard of OZ sticking out from underneath something! So sorry about the 1st witch! Where did you get her? She is just adorable. Are you doing a count down calendar for Halloween? Great post! Cute stuff! Thanks for stopping by my blog - I love getting comments since I just started, hope you'll visit again soon, can't wait to see what you end up making! A-DORABLE! Lovin' you halloween magic! .....and WHAT is it? Boxes for each day?? Love the witch - she's the cutest one I've ever seen. Come now - share where you got her!! Also, I love the black thingy you have the pumpkin on! I think Halloween is my 2nd fave holiday, too. Love this time of year! I've been visiting your blog from Tip Junkie, for a while now. Love all your ideas. My guess to the last item would be maybe some kind of invitation? Oh, I love your halloween stuff. It is to cute.. 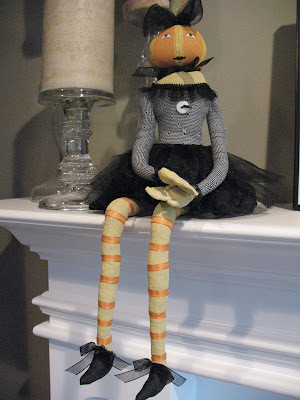 I am thinking a Halloween count down...for you or your class? What an ADORABLE post!!! Where did you get that FABULOUS witch??? 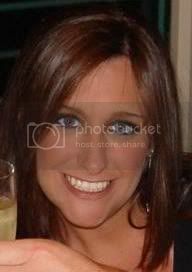 Please do tell, I LOVE her!!!! Is it a Halloween "advent" calendar? (Can you call it that if you aren't talking about Christmas?) Your Halloween decorations look great! Thanks for dropping by my blog! What a fun blog I surfed on over to! Glad I found it! Fun fall things you have shown!!! I love that grass..so cute! I love the pumpkin, too! Chris, I love the adorable witch. Her feet are so cute. Next time, (and Im sure there will be another) post a picture of Maximus' distruction. Where did you say you bought the witch?? I have all my fall decorations out, but sadly, only one witch. I want yours!!! Cute Halloween stuffs.! I too love to decorate my home on Halloween. Girlfriend, I hear ya! To do list is longer than Santa's list...work, the kids, volunteering at their school and OF COURSE fun projects that we find on blogland!! What time do I go to bed? After midnight and then the mornings are a bear! How lucky you found a second witch...that DOG! !